After graduating from college with a major in Accounting, Brenda first worked in various CPA firms in Nebraska, in positions from staff to junior to senior accountant. Work assignments were "write ups" (bookkeeping services), income tax return preparation, and assisting in audits of area businesses. Then came some experience in private accounting. First was learning the operations and accounting procedures of a national candy and cookie wholesaler, Farley's and Sather's Candy Company in Round Lake, MN. This paved the way for her next job of helping a local feed, grain, and fertilizer business with four locations understand what its cost drivers were, and where. Most of the feed was manufactured, and the accounting software packages at that time for a feed manufacturer were poor. As their accountant, Brenda helped them identify where problems with the software package were, compiled their financials, and compiled detailed cost analyses for each location and each division of the business. In 1993, following a desire to be self-employed, Brenda settled on a business doing expense reduction for contingency fees. She began in Worthington, MN (under another name) and in 2007 got married and moved to Sioux Falls, SD. 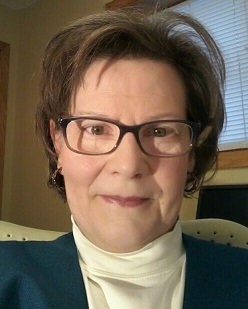 For 26 years Brenda has worked with a small number of clients regionally in MN, SD, IA, and NE. They are mostly conservative local government units, rural hospitals or clinics, banks, colleges, factories, businesses or nonprofits in the 4 state area. It is a very good fit for her strongest skill sets which are organizing, analyzing, coordinating, getting to the heart of things, and giving an accounting for anything financial.